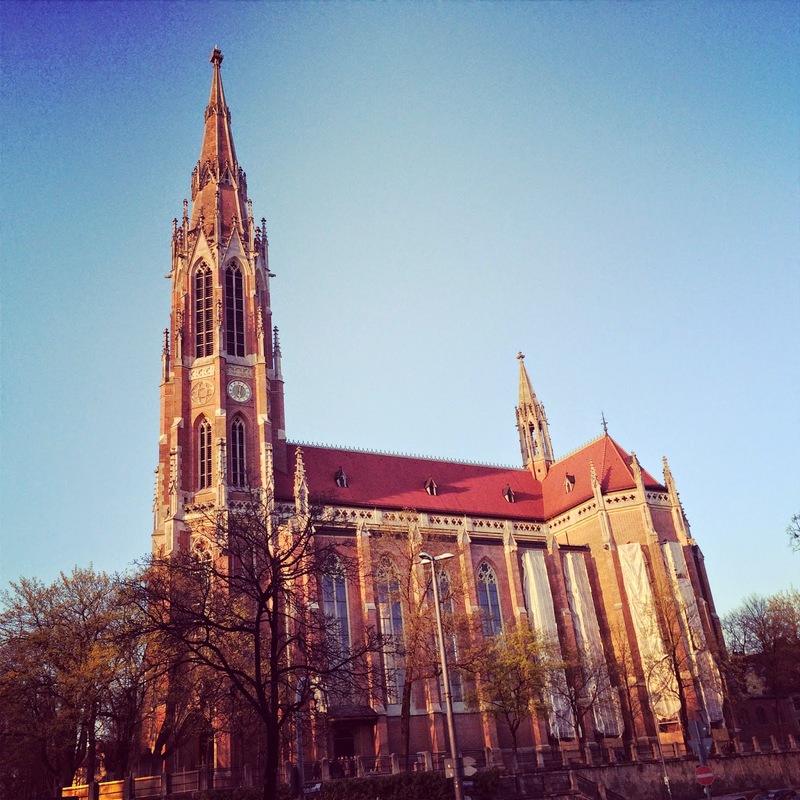 The church at the top of the Geisinger Berg in the late afternoon. 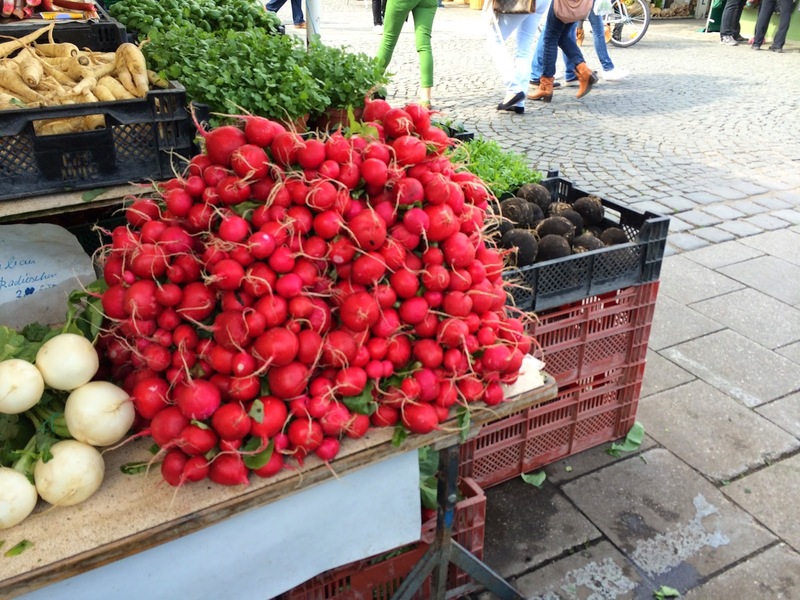 A massive pile of radishes at the Viktualienmarkt. This resourceful young man set up his own battery powered DJ station on the Isar. 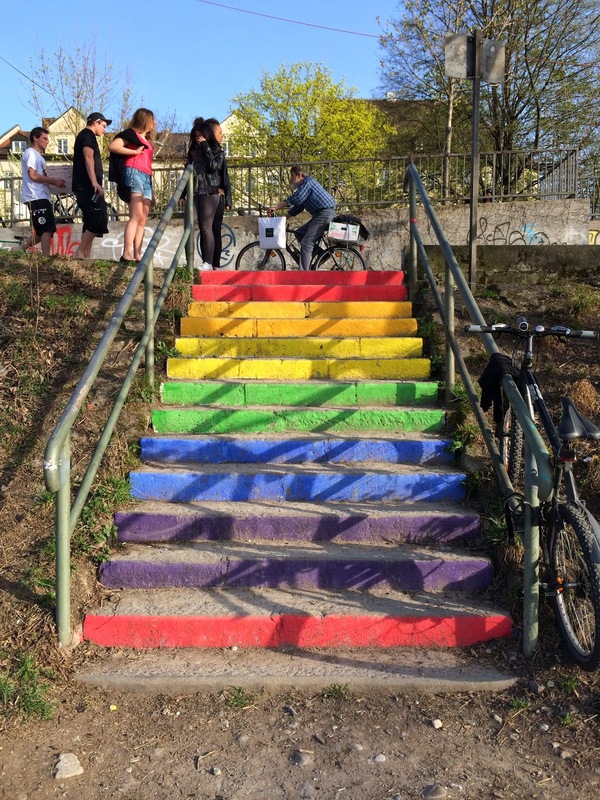 Rainbow steps near the Isar ufer. 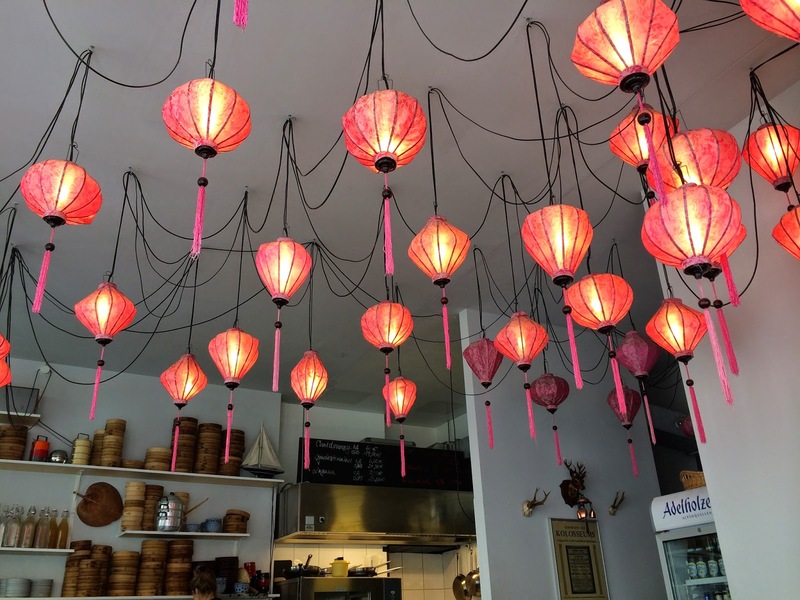 Ceiling lamps at Fei Scho where I met a friend for lunch one day. 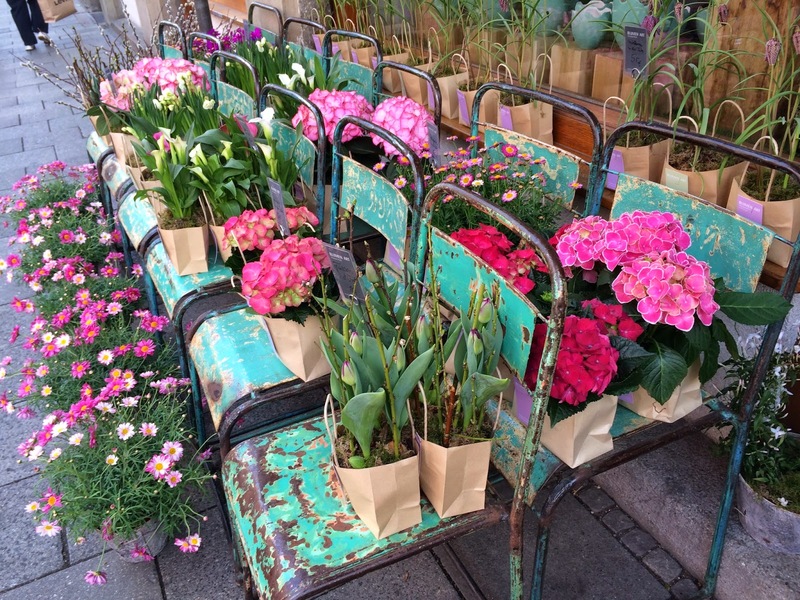 Please, oh please let this lovely spring weather continue!